Jacey Wyatt doesn’t conform to labels the way most politicians do. 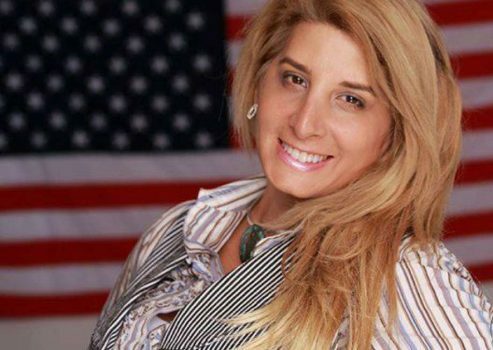 She has run for local office in Branford, Conn. as a Republican and a third-party petitioning candidate. Wyatt, who grew up as John Christian Pascarella before undergoing gender reassignment surgery in 2003, is running for governor as a Democrat. But Wyatt, 46, a former model who was born an intersex person, said she is not running to be the face of transgender rights. Nor is she looking to take sides in the ongoing clash between Gov. Dannel P. Malloy and President Donald Trump’s administration over restroom laws, she said. Making Connecticut more friendly to businesses so companies such as General Electric don’t move their global headquarters to Boston is her primary objective, said Wyatt, who registered her candidate committee Friday with the State Elections Enforcement Commission.